Car crashes are nothing to take lightly—one day you're getting gas, the next, you might be upside down at the pump. Regardless of how an accident happened, it takes a structurally sound and well-designed vehicle in order to let its driver walk away from an accident. 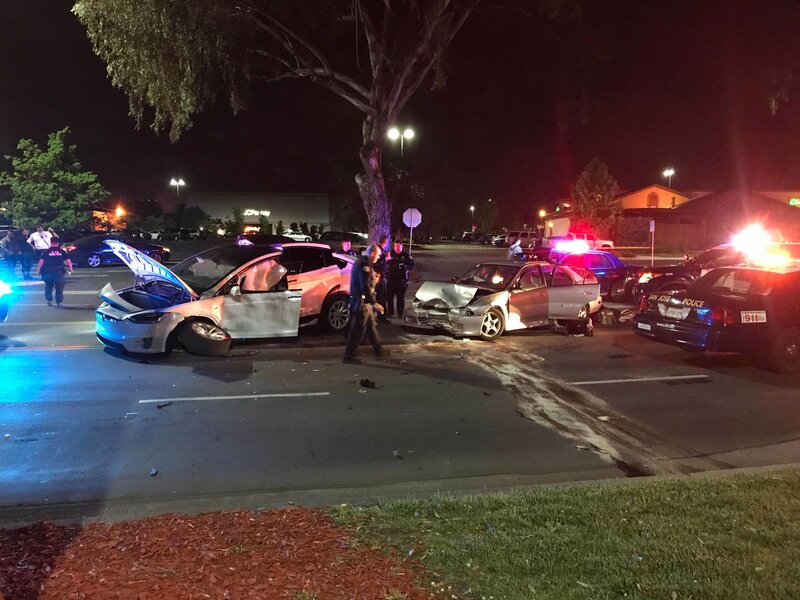 Fortunately, in this story, one particular driver was able to do just that after a stolen car collided with his rented Tesla Model X. Earlier this month, John Tran was getting ready to live one of life's most blissful (and stressful) moments: getting married. He rented a Tesla Model X ahead of the big day and was enjoying driving the electric masterpiece the night before the ceremony. He packed up after his rehearsal dinner and parted ways with his fiancée until the morning. 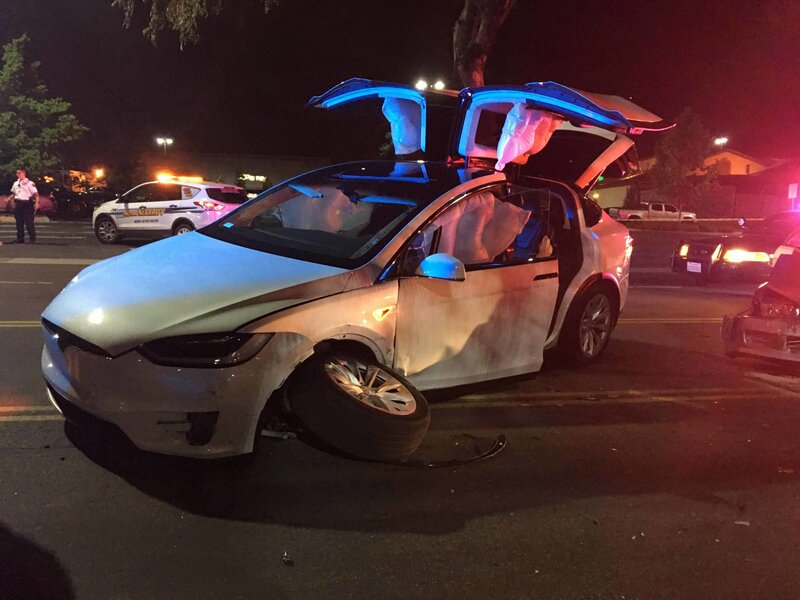 Leaving the parking lot, however, Tran's Tesla was struck by another vehicle traveling at around 65 miles per hour. The accident, which pushed the Model X between 20 and 30 feet from its stationary position, surprisingly allowed all parties to walk away. In fact, the driver of the car fled on foot and is still at large, despite the accident. Tran kicked open his door and exited the vehicle, only to be on the receiving end of an ER visit and some bumps and bruises (and a torn ligament in his right hand). But after muscling through the hospital and rewriting his vows, Tran became a happily married man the following day. One of Tesla's bragging points is its safety ratings. In 2013, the Model S achieved the highest safety rating ever given out by the National Highway Traffic Safety Administration (NHTSA). The Model X did nearly the very same thing in the SUV category, partly due to its low center of gravity thanks to its battery mounting. 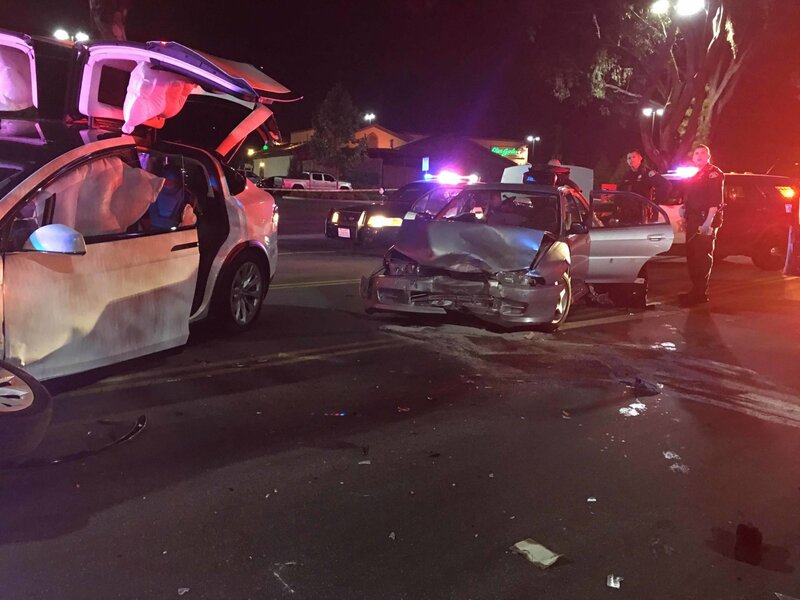 This morning, Tran also posted his experience to Tesla Motors Club, along with some additional photos of the accident. Thankfully, all seems to be well with newlywed today. He says he hopes the story will reach Tesla CEO Elon Musk and his team to share just how well engineered the cars are. Tran has made it his goal to sell off his existing fleet of cars and purchase a Tesla as his next vehicle.